I'm beaming with pride. I was just sent this amazing photo of our book SHACKLETON THE VOYAGE OF THE JAMES CAIRD A Graphic Account from The Collins Press. Picture taken in St Andrew's Bay, South Georgia, one of the largest King Penguin colonies in the world. Many thanks to Seb Coulthard from Shackleton Legacy. This was a magical surprise for us. 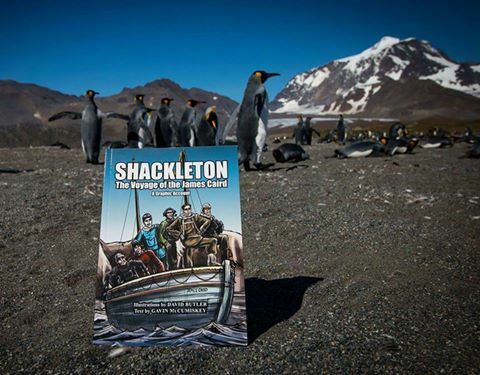 #shackleton#shackletongraphicaccount #antarctica — in Antarctica.